27-5" or 29": What Size is Right for You? "Height plays an important role in the decision-making process of which wheel size to choose from,” says Lewis. “Taller people will benefit from the advantages of 29ers, while a shorter person will have a harder time with it.” This is the main reason that you won’t find any 29-inch women’s bikes in the Raleigh line. 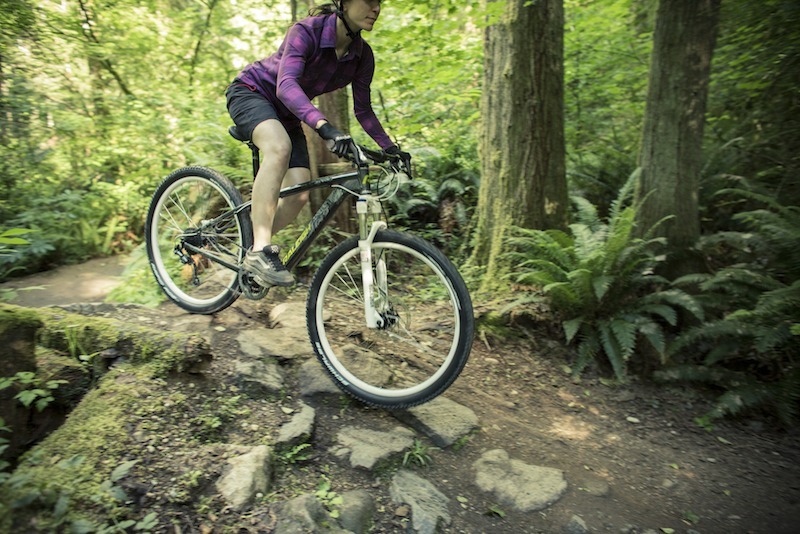 Instead, the 27.5-inch wheels provide a confidence-inspiring fit for women, but won’t compromise trail agility. A 29-inch wheel will not accelerate as quickly as a 27.5. For example, in races in the southeast, the terrain is tight, twisty singletrack. These are races of attrition. It’s not the biggest engine that wins on such terrain; it’s the snappiest and those that can handle the most punches. If you’re looking for speed and quick handling, try a 27.5. 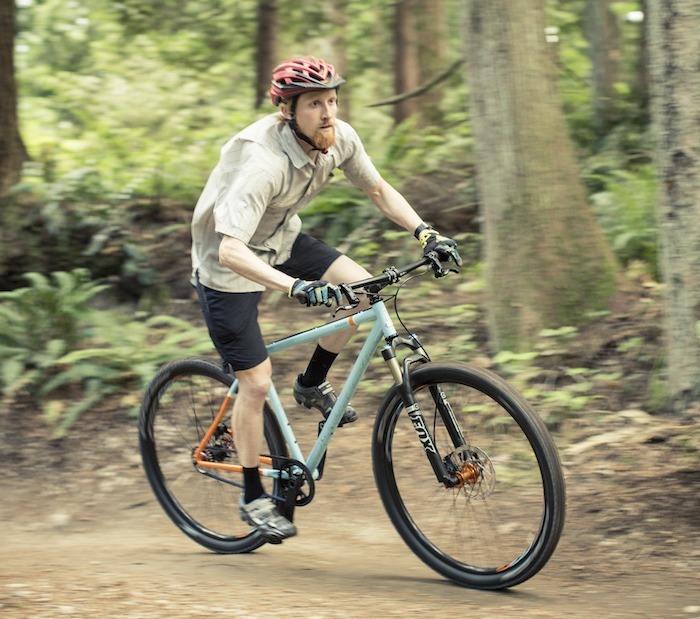 On the other hand, according to Lewis, "Fast, wide, open terrain benefits from a larger wheel size.” So if you’re a fan of cruising through broad open spaces, try the 29er, and enjoy the added stability and shock absorption you might not get from a smaller size. When choosing the right size for you, think about what style of riding you enjoy the most. In cross-country riding, the 29-inch wheel is undoubtedly becoming mainstream. As Lewis puts it, "I feel that the 29-inch still has some major advantages in the XC world. The wheels roll fast and provide a stable platform for cornering, while doing an amazing job of absorbing obstacles in the trail, such as roots and rocks." Larger wheels provide great efficiency for getting to and from the trail as well. Plus, if you're coming from a road background and do not have much mountain bike experience, a 29er can be a great choice. For the more aggressive rider, Lewis recommends the 27.5-inch as a better fit. So, if you enjoy a more playful riding style that involves skids, wheelies, and jumps, then the 27.5-inch is the choice for you. When it comes to the 27.5-inch/29er debate, there’s really no wrong answer. Both wheel sizes are going to give the rider unique riding experiences. We encourage the perfect world-scenario: Have one of each!